When your parents are the world's tallest married couple, there's a strong chance you too are going to stand out from the crowd. And Keisha and Wilco Van Kleef-Bolton’s latest arrival is no exception. Weighing in at 9.2lb, baby Jonah already seems to be following in his father’s giant size 15 footsteps. Jonah measured an impressive 56cm when he was born, hitting the 98th percentile of baby lengths - meaning only 2 per cent of newborns are this length or longer. 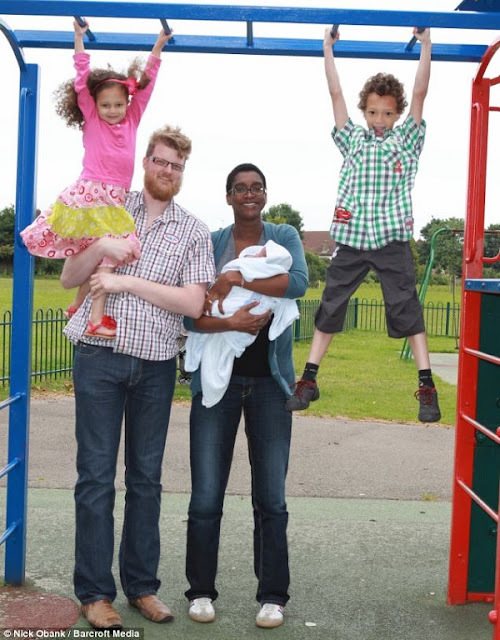 The couple - he's 7ft and she's 6ft 5in - also have a son, Lucas, six, who is already 4ft 5.5in, the height of an 11-year-old, and daughter Eva, four, who is 3ft 7in, the typical height of a five-year-old. Jonah, who was born in June, is set to add to the Van Kleef-Boltons' combined height of 21ft - which is almost four feet taller than an average couple with children the same age. 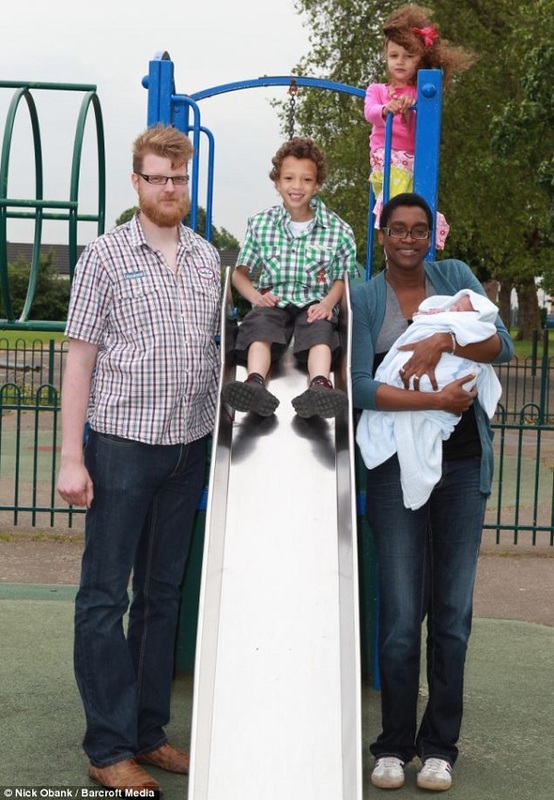 Keisha and Wilco, from Dagenham, Essex, currently hold a Guinness World Record for being the world’s tallest couple. 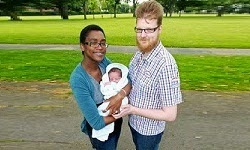 Keisha, 32, said: 'I love being a mum and I love watching my children grow up tall like their parents. 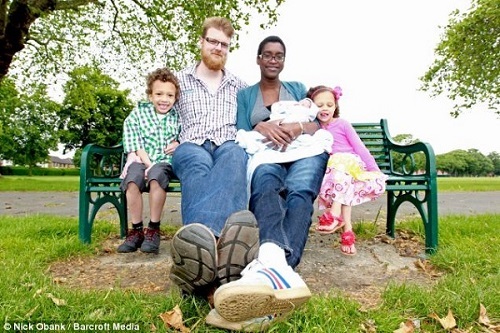 'We would love to be the world’s tallest family - but we’ve a way to go yet. When the couple married in 2001, they raised the doorframes in their home in Dagenham, Essex to stop them clipping their heads. 'If Jonah is anything like Wilco and Lucas, he will break every height marker for his age. 'We’re already investing in clothes for three-year-olds and only buying a few outfits for very new babies because our kids grow so fast. 'Because I’m used to having tall kids, Jonah seems extra tiny at the moment. But at 9lb 2oz, he was a big baby and he’s already gone up to more than 10lb. Keisha, who wore men’s clothes when she was pregnant because there weren’t any maternity outfits big enough, said the couple would like another child. Wilco, who has 40-inch legs, stood at 5ft 10in by the time he was just ten. She said: 'Four is a nice number, but we have enough on our hands for the time being. Keisha met school security guard Wilco, 31, after putting an ad out through the Tall Persons Club UK looking for a dance partner. 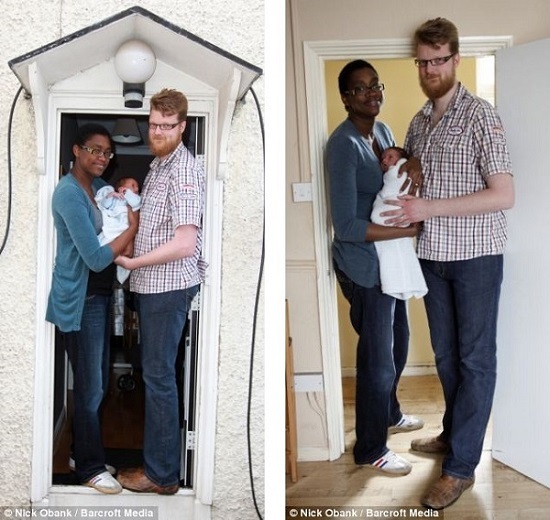 When the couple married in 2001, they raised the doorframes in their home to stop them clipping their heads. The couple still have a bedroom that is only big enough for a standard double bed, forcing them to sleep with their feet hanging out. His wife said she suffered from jokes at school about her height and had to stop wearing high heels when she was 18 and her shoe size went past an eight. 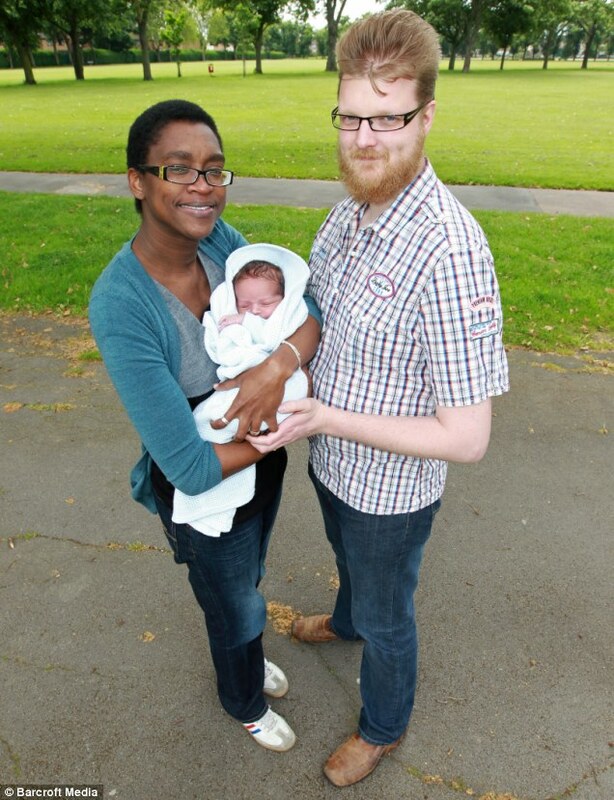 Wilco said: 'Jonah is a fantastic addition to our family and Lucas and Eva are crazy about him. 'The biggest problem at the moment is teaching our kids to ride their bikes because being so tall we have to bend over constantly, which is quite painful for our backs. 'Lucas has already grown out of his school uniform this year so we’ll have to get him trousers for 10-year-olds next. Dutch-born Wilco buys his clothes from specialist websites that normally supply size 15 shoes to American basketball players. And Keisha struggles to find outlets which supply clothes which cater for her 38in legs - despite being a size 12. She said: 'I use normal women’s dresses as shirts because they come up so short. I can never find things I like in my size. 'Flying on budget airlines with no legroom is a problem too.